When you look in the mirror, what do you see? Does your focus instantly turn to stains, cracks, gaps, or other imperfections that cause you to feel insecure about your appearance? You’re not alone. In fact, it’s estimated that one-third of adults in America don’t like their smiles either. Now, you don’t have to live with what you see. 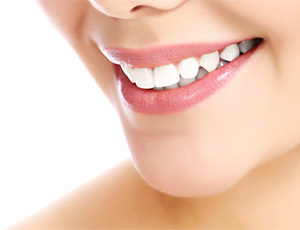 You can get the smile of your dreams with porcelain veneers in Richardson. In as little as two appointments, you’ll drastically transform your teeth. Porcelain veneers are thin shells that are bonded to the front surfaces of your teeth to cover cosmetic flaws. This makes them quite versatile, so they can be used to resolve several issues. Now, porcelain has become the preferred material because it’s thinner than materials used to make traditional veneers. 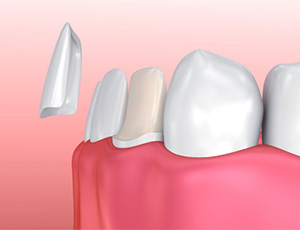 As a result, less of your tooth’s structure is removed during the bonding process. With more of it kept intact, it makes the procedure minimally invasive. Not to mention, porcelain closely mimics the appearance of enamel to create natural-looking results. To begin your smile transformation, your teeth will first be cleaned. Then, they will be prepared by removing a small amount of enamel. This is necessary to ensure that the veneers sit flush on your teeth. To create them with precision and accuracy, digital impressions are taken. The dental lab will design them to meet your exact size, shape, and color needs. To ensure that every detail is right, this can take a couple of weeks. In the meantime, we’ll attach temporary ones while you wait. When your final ones are ready, you’ll return to our office to have them bonded in place. Brush your teeth twice a day with a soft-bristled toothbrush and a nonabrasive toothpaste. 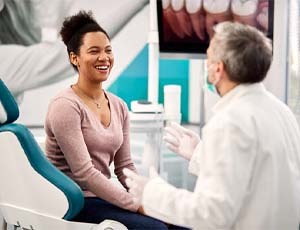 Visit your dentist twice a year for preventive care. Do not bite on inedible objects. If you’re ready to love what you see in the mirror, start your journey to improved confidence today. Contact our office to schedule your consultation for cosmetic dentistry in Richardson.